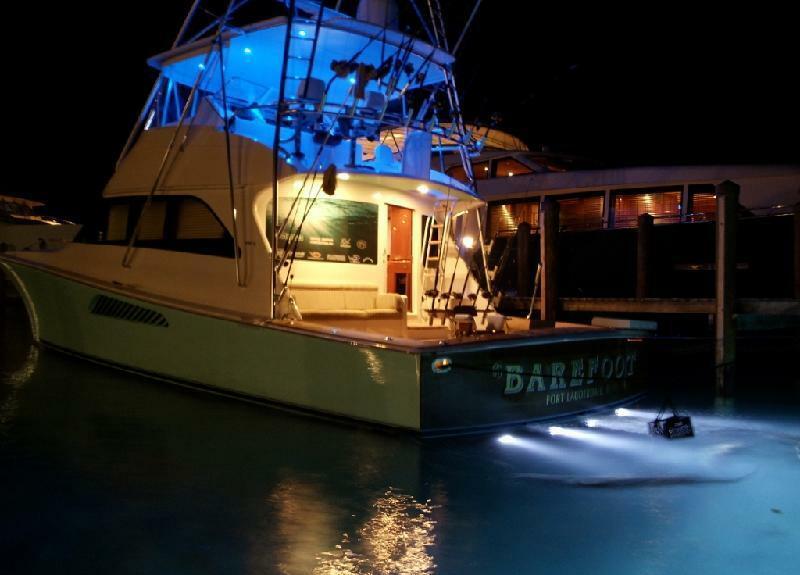 Luxury sport fishing yacht BAREFOOT was launched by Viking USA in 2007 and measures 19.5m (64ft). 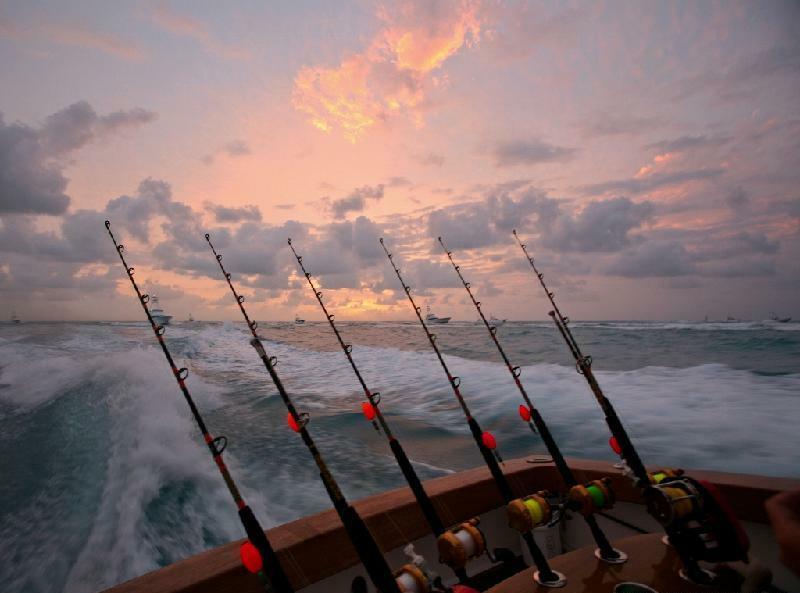 Charter yacht BAREFOOT combines luxury chartering with top of the range fishing and is available in Florida and the Bahamas for up to 6 guests. The yacht is the ideal yacht for families, small groups of friends and corporate / team building events. 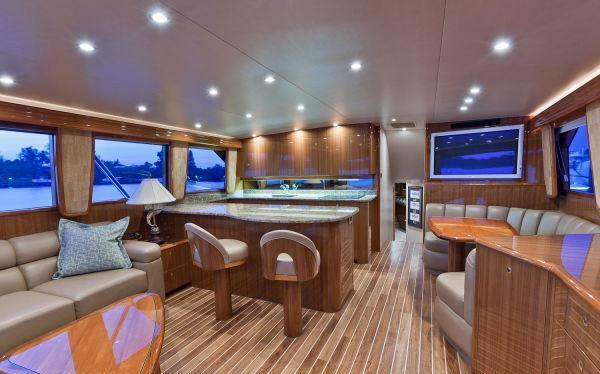 Motor yacht BAREFOOT has a modern contemporary interior featuring warm teak and holly floors, high gloss wood panels, imported granite counters and designer fabrics throughout. 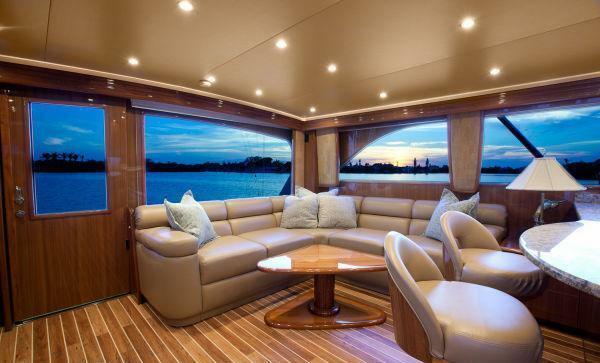 The salon is an open plan with the lounge aft with a large L shaped sofa and coffee table, forward of the lounge on the port side is the open galley with breakfast bar, on the starboard side is a formal dining table. 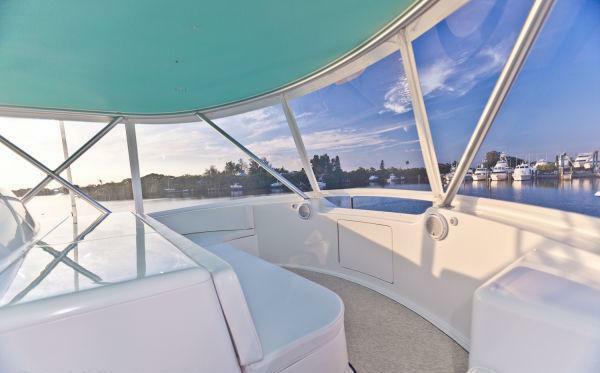 Thanks to panoramic windows, the space receives plenty of natural light and boasts fabulous views. 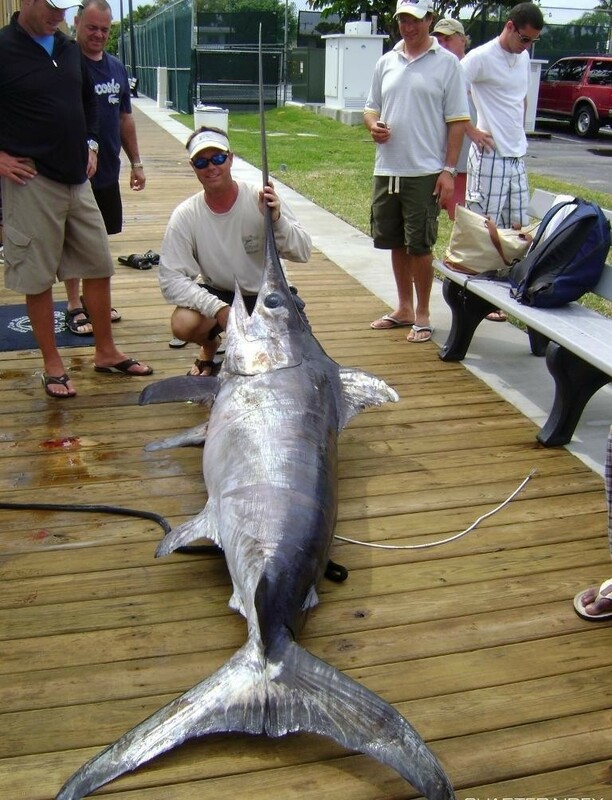 Indoor entertainment from the 42’’ SAT TV will keep everyone up to date. 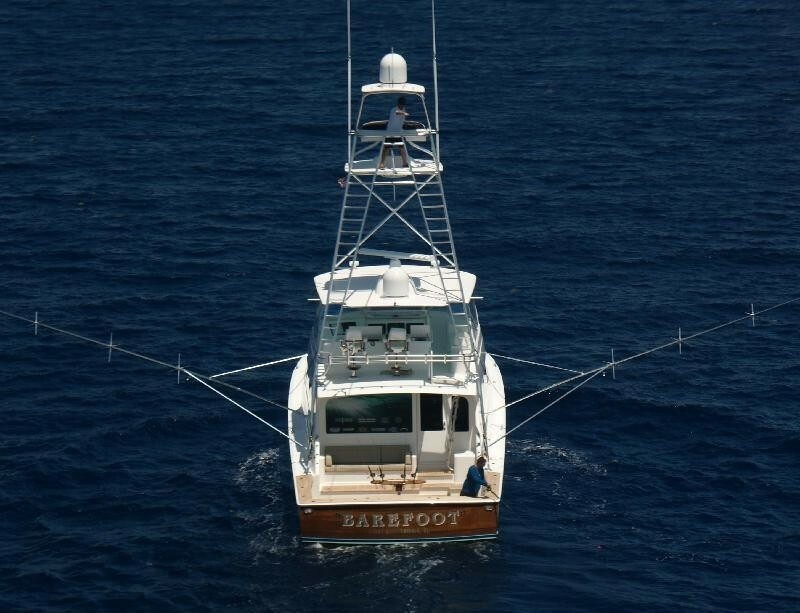 Charter yacht BAREFOOT offers a massive aft deck with built in seating, fighting chair, outriggers and ample fishing gear options to ensure the ultimate in a Florida or Bahamas fishing adventure. 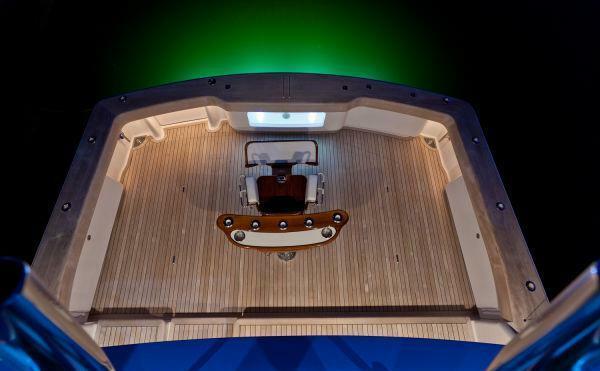 Above the main deck an open flybridge offers further seating and sunning space, the idea spot to watch all the action. 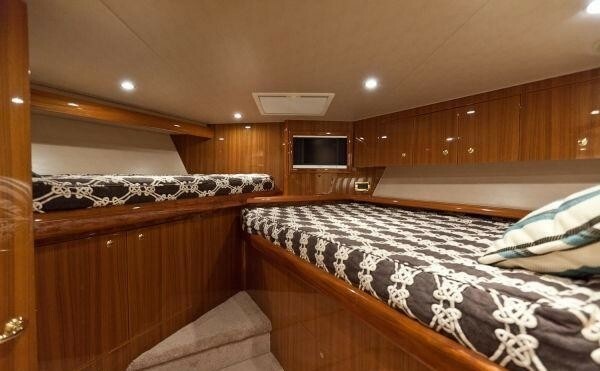 The Viking 64 yacht BAREFOOT has a generous foredeck, ideal for sunning and relaxing at anchor. 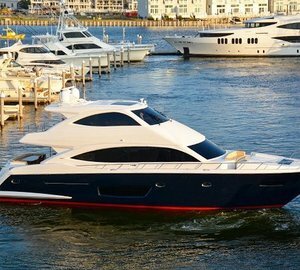 M/Y BAREFOOT is powered by 2 MTU 2400hp engines; the yacht is capable of reaching exciting speeds of 35 knots and top speeds of 45 knots. 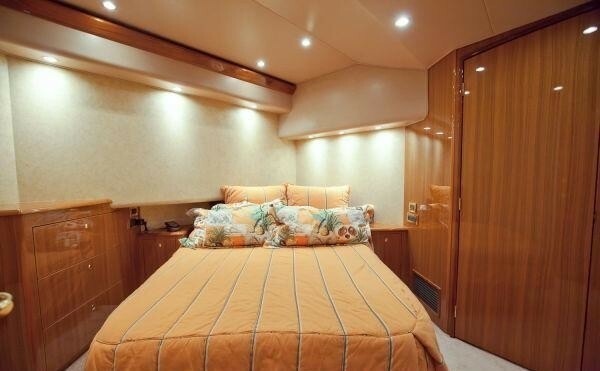 Luxury accommodation aboard the BAREFOOT motor yacht is forward of the salon below decks. 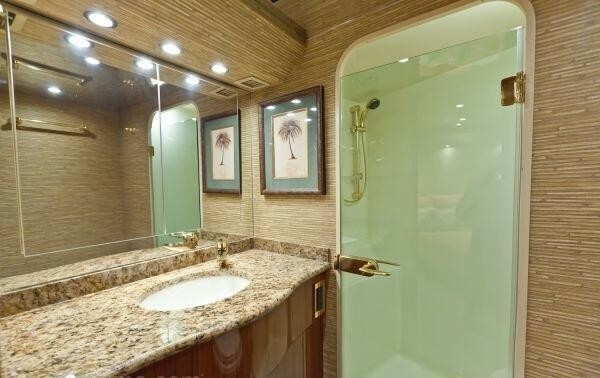 The master stateroom offers a queen size bed and en-suite facilities. 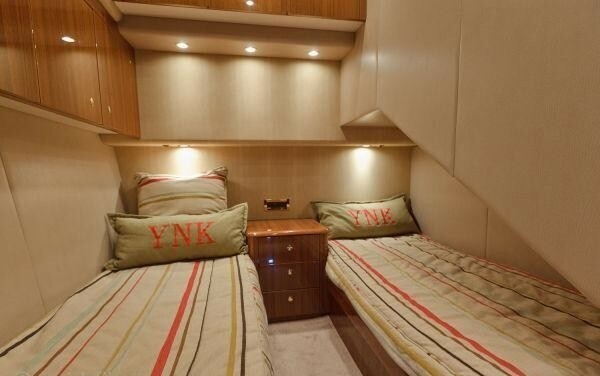 A VIP cabin offers a double bed and smaller single bed with en-suite facilities. A further guest cabin has 2 side by side single beds and offers shared facilities. 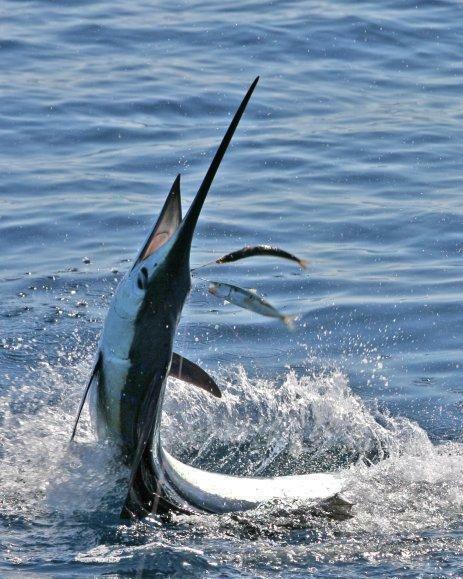 Each cabin has SAT TV entertainment and is fully air conditioned. 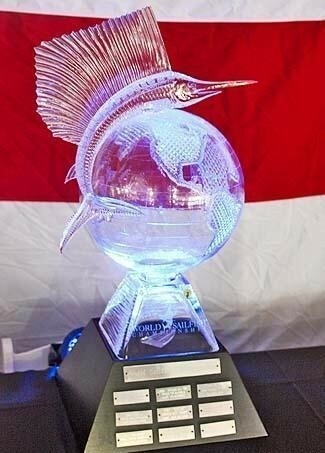 Viking 64 yacht BAREFOOT - World Sailfish Cup Champs Team BAREFOOT!